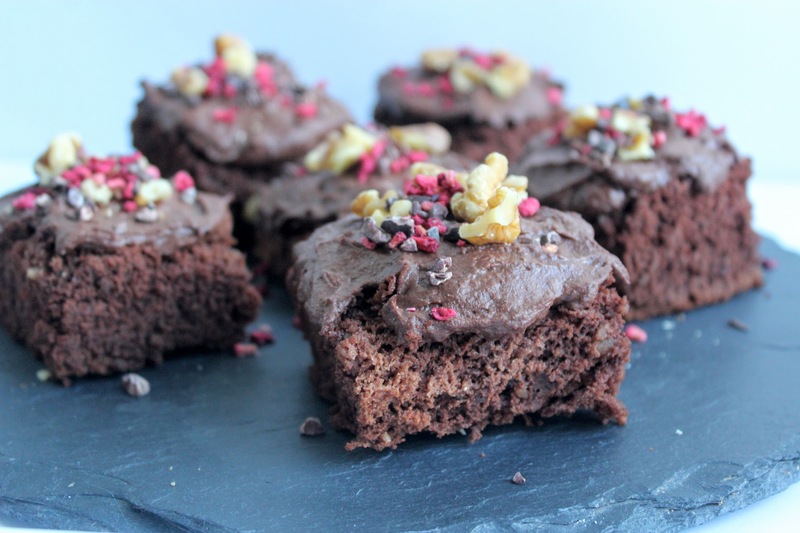 A picnic or al fresco dining wouldn’t be right without brownies, would it? 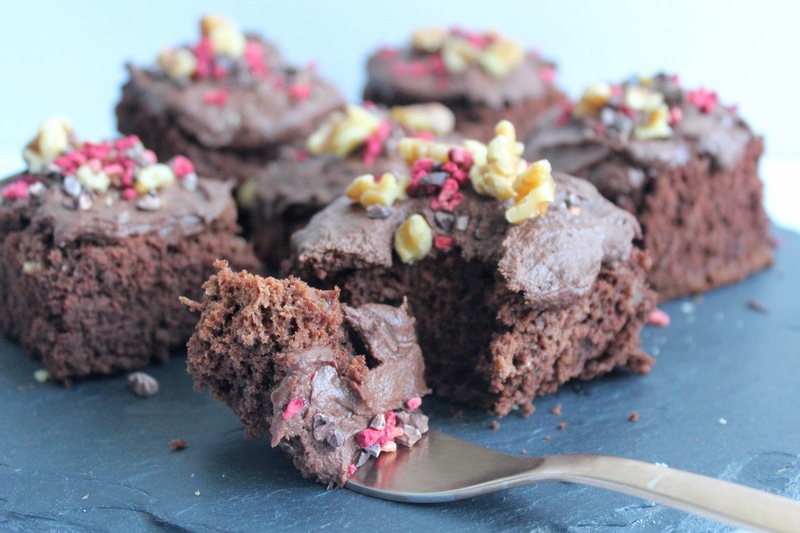 Especially double chocolate, high protein ones! 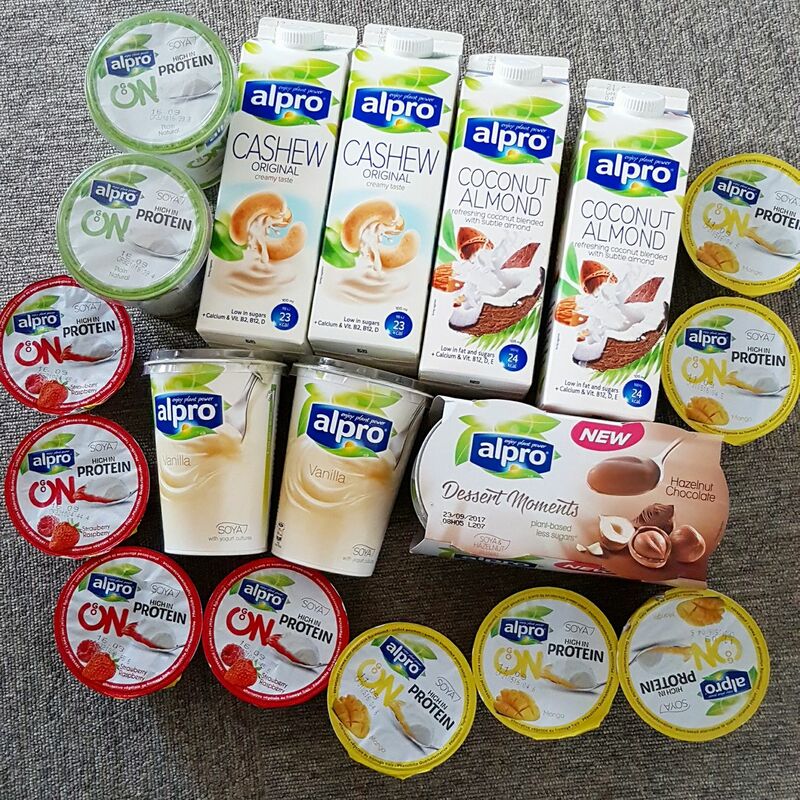 In collaboration with Alpro using their plant-based range of yogurts and drinks, I’ve created these divine vegan, dairy-free and gluten-free treats using their delicious cashew milk and Hazelnut Chocolate Dessert Moments yogurts. Make them ahead then pack them up (carefully!) in boxes in a cool bag and there you go, healthy indulgence on the go! Preheat the oven to 180 degrees and grease and line a 9×9 in square baking tin. Place the bananas, milk, honey/syrup, peanut butter and vanilla in a blender (I use my Ninja Kitchen) and whizz up until smooth. Now add in the rest of the brownie ingredients and blend again until you have a smooth and quite thick chocolate batter. Spread this evenly into your prepared tin. Bake for 25 minutes until firm to the touch and golden. Leave to cool completely then cut into squares. 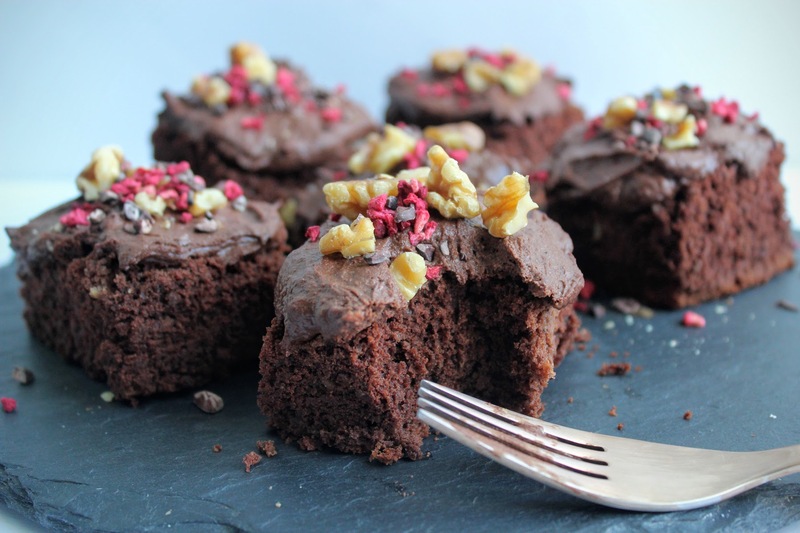 Meanwhile make the chocolate topping: Beat together the ingredients until quite thick and smooth and chill in the fridge until needed. 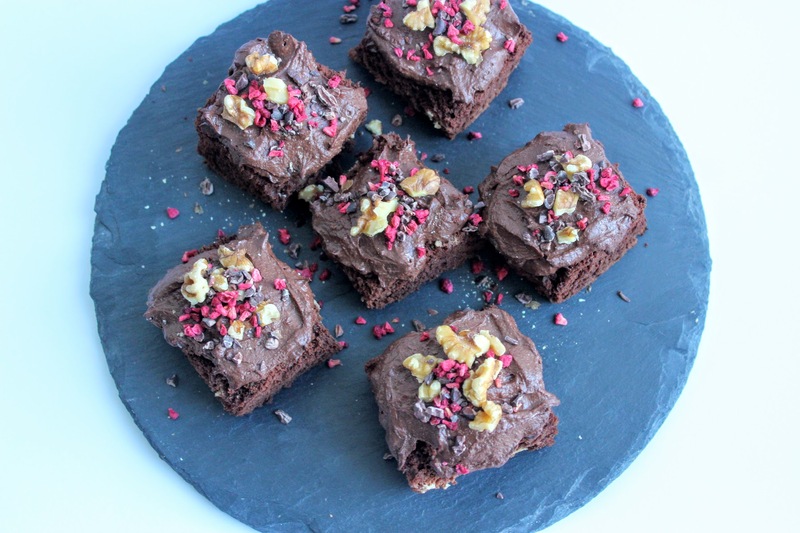 Spread a generous layer over each cooled brownie then scatter over the walnuts, cacao nibs and freeze-dried raspberries. Enjoy!